Is this inspired by the Orbital Frams from "Zone of the Enders" Jehuty and Anubis? because it look badass!!! Both are incredible! I like the references to ancient Egypt and the modern futuristic Cyborgs. Great job! A Solgaleo and a Lunala based Mega Evolution. Feels like a evolution out of Digimon. Mega Lucario Future is archieved, when the Lucarionite holded by Lucario is exposed to Solgaleo's raw energies. Likewise Mega Lucario Ancient is archieved, when the Lucarionite holded by Lucario is exposed to Lunala's raw energies. 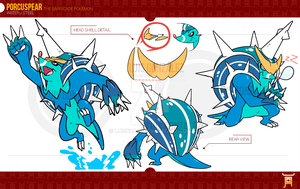 How about a Ultra Necrozma based Mega Evolution, which can either have Fighting/Dragon and Dragon/Steel, due the Pokemon they have absorbed? These look great! I wish they were really in the games. Very cool designs. I couldn't pick just one as a favorite. friend. What are your playing? Me: Kamen riders...I guess? or Yu-Gi-OH? I think the XYZ trio is definitely intended to be based on Norse mythology, but I'd be interested to hear why you don't think so. Hey thanks, that was really interesting to read. I still think there are too many coincidences to dismiss at least part inspiration. 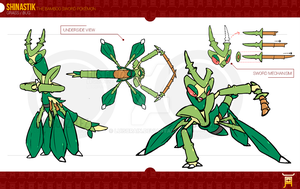 The main thing is that, ok, Xerneas and Yveltal could be based on general depictions of deers and vultures (and I think they are) but why is Zygarde a serpent, and a dog and... humanoid thing? I think Pokemon have always, especially with legendaries, had multiple inspirations and are sometimes quite abstract relative to any inspirations. But I can agree that it's not a given for sure. And yet these are better then the actual Mega.. The right one is cool. The future form looks more like a Steel-type than Lucario's real forms. In fact the very first time I saw Lucario, I thought it was a Psychic-type before I confirmed its actual types. This is actually a super cool concept! Nice job! That's it! I'm nicknaming my next male Lucario Anubis! Mega Lucario Ancient is what Mega Lucario should have looked like in the first place. My opinions on Mega Pokemon would have been very different if it was. I love the Egyption one! Like the one on the right!